If you’re looking for a charming one-story home, take a look at our new listing at 112 Oolong Tea Court. 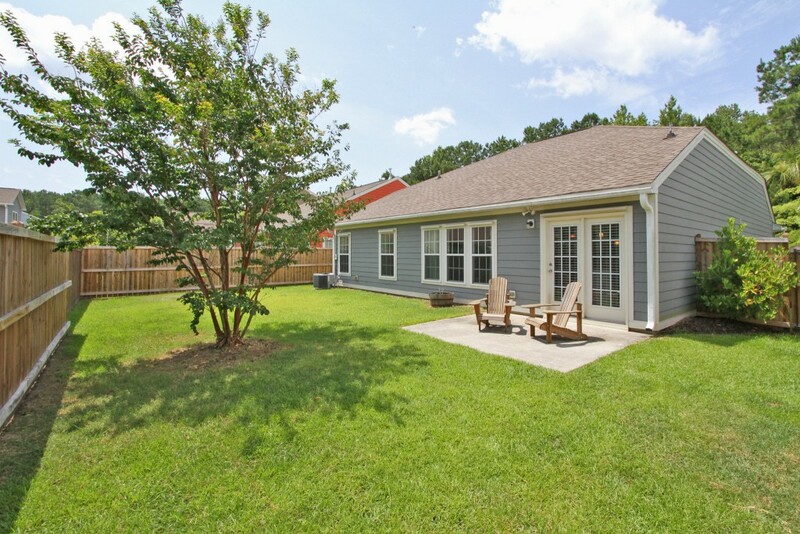 Located in the Cainhoy/Wando section of Berkeley County, the home offers easy access to major thoroughfares including Highway 41, Clements Ferry Road and I-526. The home is also near the Wando River so you can launch your boat or kayak to enjoy the surrounding waterways. The neighborhood, Nelliefield Plantation, was developed in the mid-2000’s and offers tree-lined streets, a variety of home styles and a neighborhood pool. Upon pulling up to the home, you will be impressed with its curb appeal. 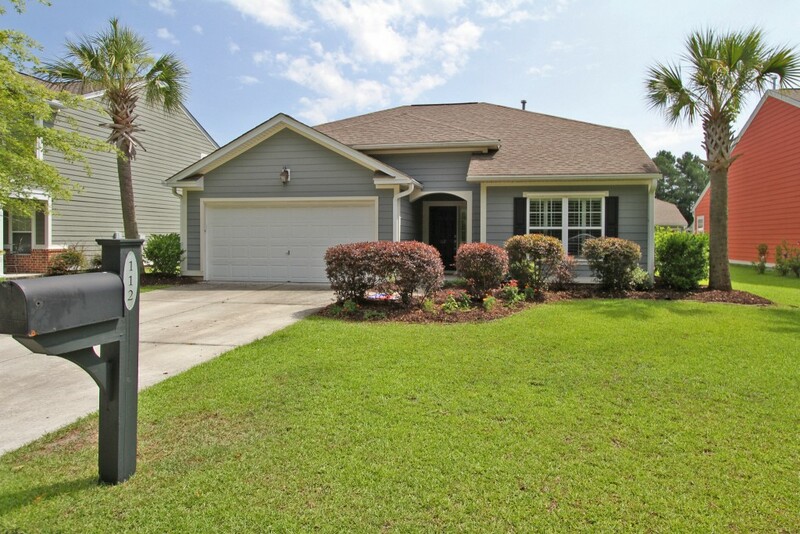 A bright green lawn, two palmetto trees and colorful shrubbery adds to its aesthetic. Inside, the home is filled with natural light and has an open and inviting floor plan. 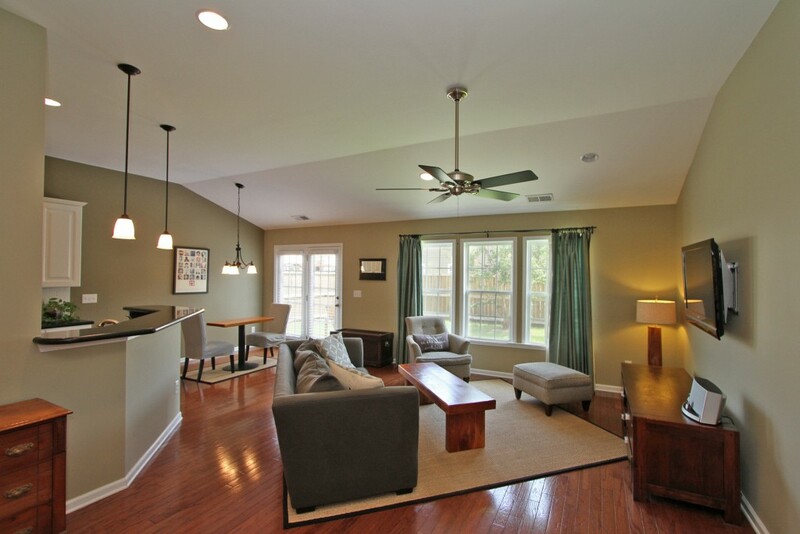 Hardwood floors run throughout the main living space and tall ceilings make the space light and airy. The dining area, living room and eat-in kitchen are combined into one cohesive space which is great for families or those who like to entertain. Recessed lighting, stainless steel appliances, Silestone counters, large windows and access to the backyard are some of the highlights. Outside, the large yard is fenced for privacy. A tall tree provides some shade and there is a small dining patio. 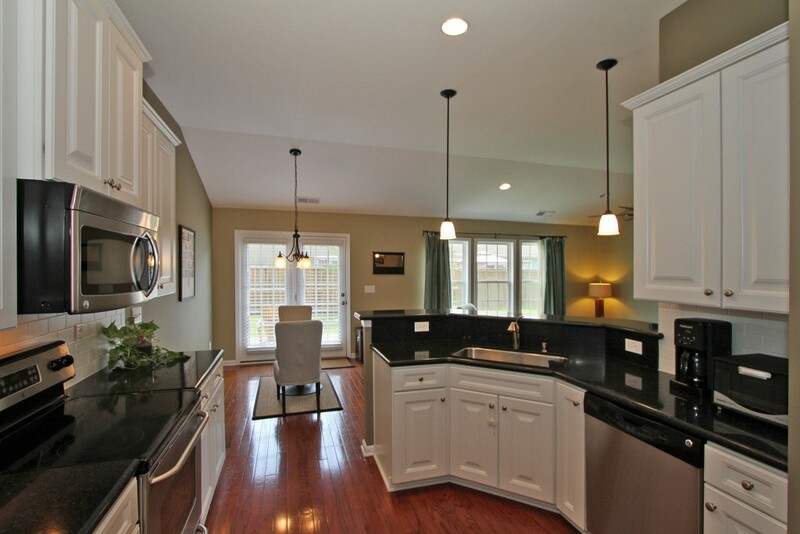 There is also two-car garage in the front of the home that provides ample room for storage or parking. The home’s three bedrooms are well-sized. The master overlooks the backyard and has an en suite bathroom which features a tub, separate shower and a dual sink vanity. 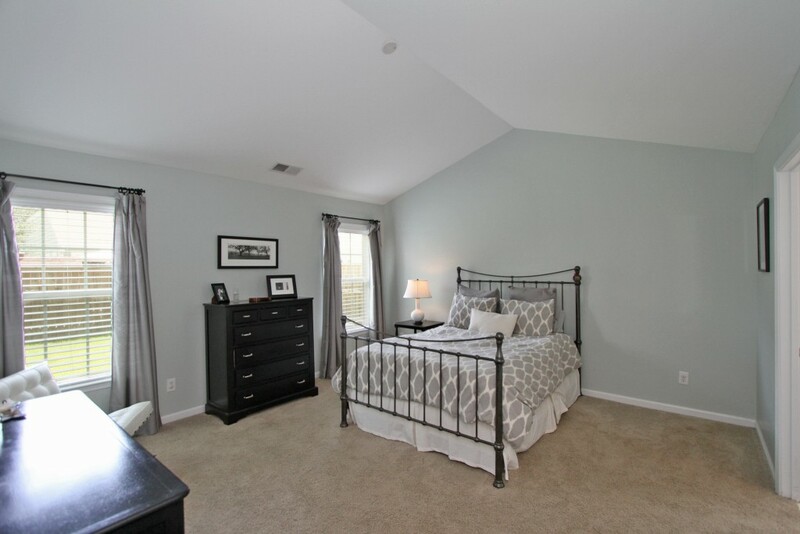 The home’s other two bedrooms are spacious and share access to a hallway full bath. To learn more about this listing or to setup a showing, please contact listing agent Meghan Webster.